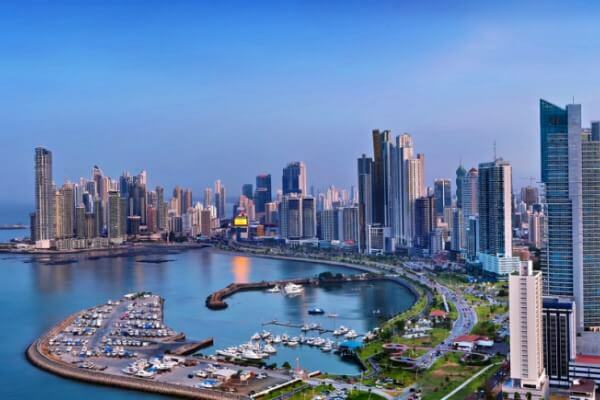 Pick up at the Hotel and ride to the most attractive and interesting sites of the Capital City, including the remains of Old Panama City (‘Panama la Vieja’), which were sacked by pirate Henry Morgan in 1671. Continue to the Colonial City or “Casco Viejo”, built in 1673, with special Spanish architecture, and where French workers, led by Ferdinand de Lesseps that initiated the project of the Panama Canal, had their homes. You will pass through the stretched streets, plazas and public parks, where part of Panama’s history is still preserved, along with France Plaza, Promenade of “Las Bovedas”, San Jose Church with its wonderful Gold Altar, the “Arco Chato”, and Cathedral Church, forming part of the World Heritage. When lunchtime approaches, enjoy a delicious Panamanian lunch at a prestigious restaurant. After lunch, you will head to the Visitors Center of Miraflores Locks in the Panama Canal, where vessels are raised or lowered from ocean to lake level and vice-versa. Watch the audiovisual presentation prepared by the Panama Canal Commission, where the operation of this important Inter-oceanic waterway is properly explained in every detail and its magnificent four floors museum. You will be taken to the Amador Causeway, a man-made connection of three islands, with a strong tourist development and from where you will have a breathtaking view of the city and have time to purchase handcrafts from the Duty Free stores. The order of the visits might be altered to see more vessels in the Canal.